We’ve got an amazing list of ad optimized WordPress themes that will display your ad banner on a specific area of a webpage and helps you to generate more clicks! These ad optimized WordPress themes come with in-built ad banners, you do not need to put a code over there. All you have to do is customize it according to the desired advertisement. All the listed ad optimized WordPress themes are fully SEO optimized, compatible with almost every browser and any screen size. Hence, your ads are more visible to the users. Let’s begin and explore the themes one by one! 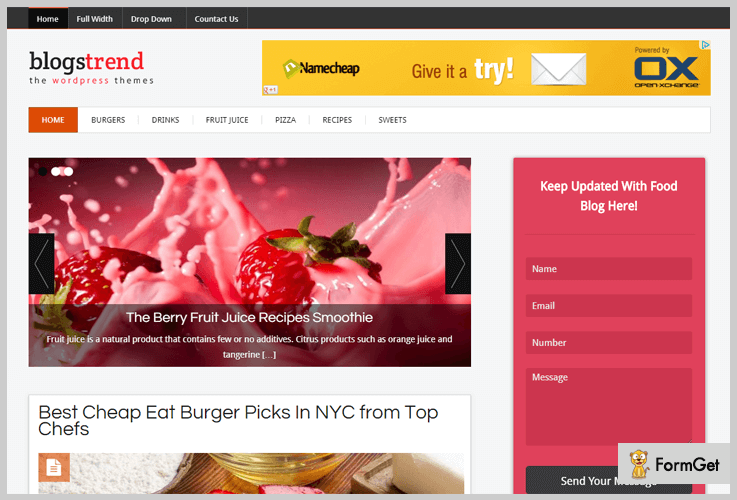 BlogsTrend is a premium theme basically designed for blogging. Additionally, it is a complete ad optimized WordPress theme that has an ad banner on the right-top of the page to display and manages your ad on the website. Keeping in mind the present trend, this theme has a search engine optimized blog framework. No matter which device your visitors are using this theme will adjust on any screen size. Further, you’ll find multiple preview examples of this WordPress theme. So, you can select one which goes well with your niche. 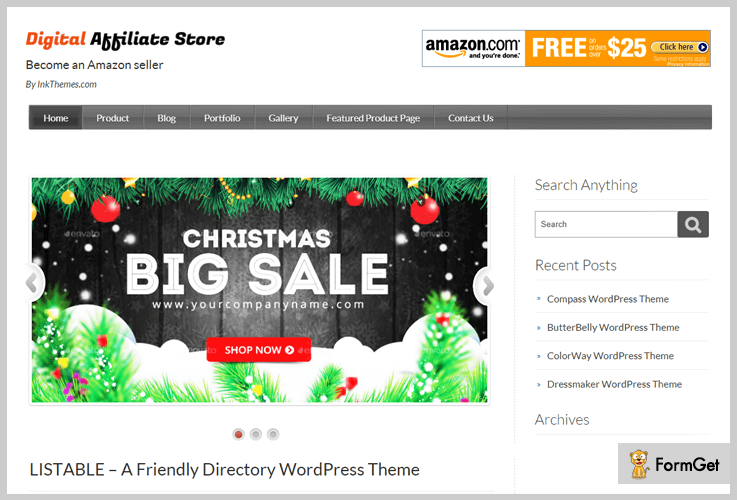 Buy this premium ad optimized WordPress theme at just $59. This theme offers you unlimited drop-down menus through which you can add multiple child menus. Social sharing buttons can be added on the left-sidebar as well as on the bottom footer text area so that more people are able to connect with you. There is a left sidebar widget where you’ll find lead capture form. Through this leads are generated along with contact details of the visitors that you can use it for future reference. It is integrated with related post plugin so that if you have multiple posts of a similar topic then those are automatically featured in a single post. Consequently, your website will be more systematic. 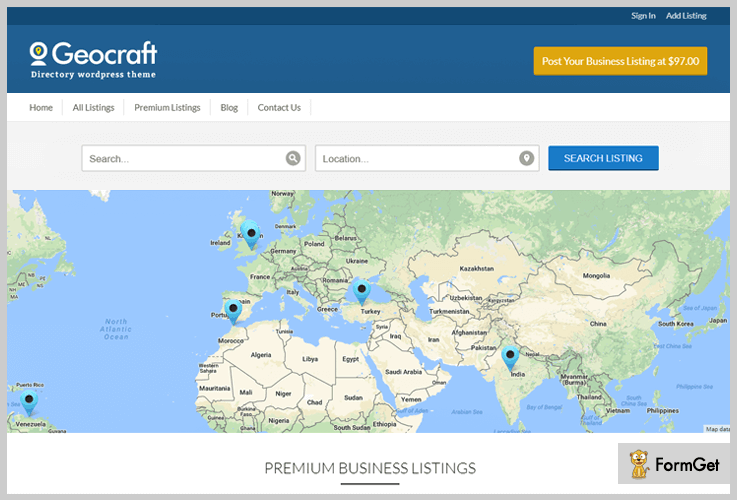 If you want to create business directory website then GeoCraft WordPress theme is a perfect option for you. Any business owner can promote their business on your website. It is up to you whether you want to create a hotel listing site, tours and travels, car dealership, or a local listing website. Now, the key point of this theme is that it has a two separate ad banner space on its homepage where you can display the ads of your advertisers and get direct revenue from them. Get this premium ad optimized WordPress theme at just $97 for lifetime usage. The theme lets you to manually sort the listing of the advertisers who paid you better. In return, you can make their business more visible. It is integrated with Google maps. So, one can add their business map in the listing to get reached easily. Inbuilt lead capture form collects the information of your registered users and stores them in your WordPress dashboard. The theme will provide a captcha in order to avoid spam registration. Digital Affiliate Box is a robust combination of WordPress theme+plugin that provide a strong and hassle-free system for automated affiliate marketing. With the help of this WordPress template, you can get your digital store on the light and start earning commissions through affiliate marketing. It also has an ad banner on the top of the page where you can display featured products advertisements and generate clicks through it. Get this premium ad optimized WordPress theme at just $147 for lifetime usage. The setup requires only 2 minutes to get started and everything will be in Autopilot mode. All you have to do is search for the product and add it which is beneficial for your store. It has a specific section to display author bio and the social networking buttons. WooCommerce compatible so that you can easily sell your products online. Button color styling options are available under theme options panel. 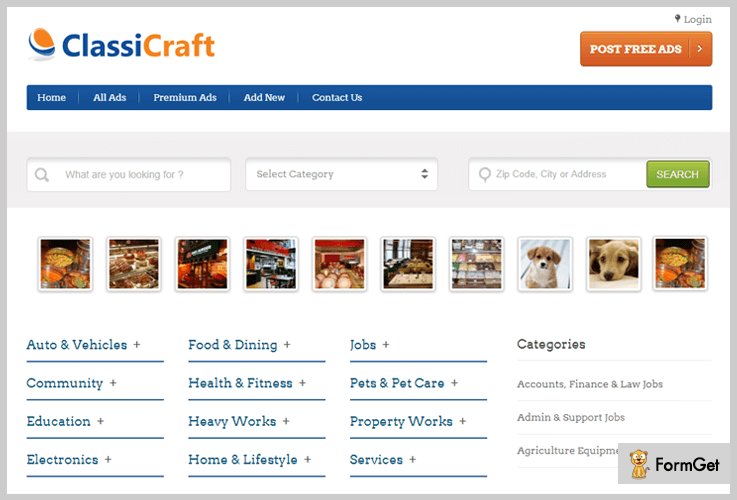 ClassiCraft is yet another premium ad optimized WordPress theme which can be used to create ad listing website for every business such as real estates, vehicles, jobs, and electronic gadgets etc. With this theme, you can create an amazing responsive website where you can let people post their classified ads in any niche. Further, you can gain profit from those ads and get paid off by the advertisers. Moreover, this theme is integrated with PayPal and PayFast payment gateways so that you can receive commision from the advertisers on a recurring or one-time basis. You can buy this premium ad optimized WordPress theme at just $97 for lifetime usage. (30-Day Money Back Guarantee). The theme has a “Post Ad” button so that people can post advertisement right away with a click. It has a search bar that lets your visitors easily find what they actually looking for. You can display featured listing on the homepage along with pricing and number of views. There is an image slider which showcases all your images on the top of your website’s homepage. Elite Pro is basically a multipurpose technology WordPress template. You can use this theme to create a simple blogging website or a functional e-commerce platform. Here in this theme, you’ll get a specific space for ad banner on the right top of the page where you can display advertisement. When the visitors click on the ad you can earn some bucks from it. This theme beautifully showcases your blog posts in a box slider with a call to action button which redirects the user to the particular blog page. Buy premium ad optimized WordPress theme at just $59. (30-Day Money Back Guarantee). The theme gives you the facility to change the background color as per your choice. Full customization over menus. You can sort them according to yourself. Elite Pro has multiple templates in it like blog template, portfolio, contact template, and so on. The theme comes with a default content that you can customize in future according to your requirement. 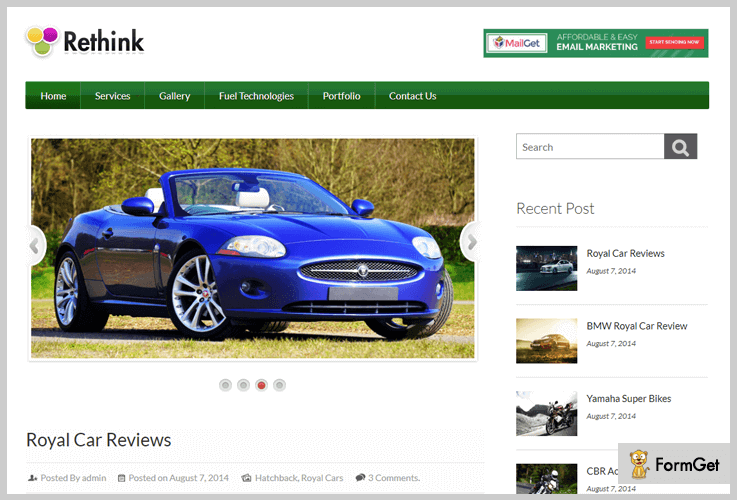 Rethink is another ad optimized WordPress theme which is mainly a review based website template where you can display reviews and ratings of the products effectively. This theme is a complete package for affiliate marketers. You can share your reviews about the product and earn some money by affiliate marketing. Moreover, you can place an ad banner on the top of the page for getting clicks. Buy premium ad optimized WordPress theme at just $59 (24×7 support). It displays a notification bar on the top of the page to attract more visitors with the help of “InfoBar” plugin. This theme comes with link cloaking feature which helps to shorten your URLs. Fully widgetized sidebar, where you can place a facebook likebox widget, Google page, videos, ads etc. Completely SEO optimized WordPress theme. That’s all we have on ad optimized WordPress themes. 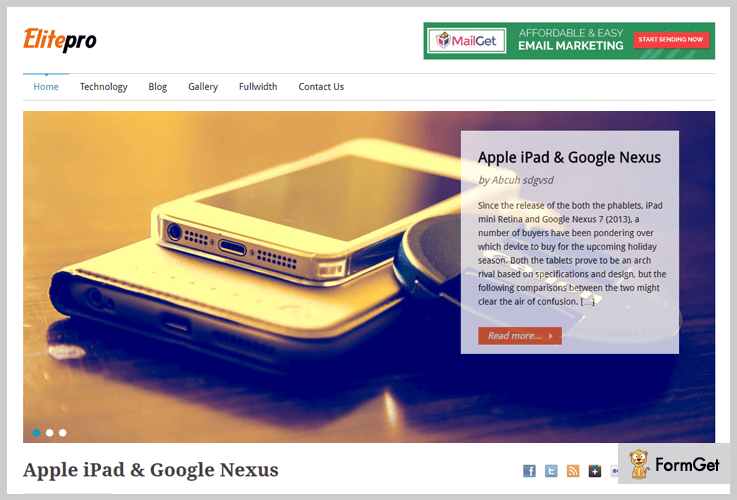 Hopefully, you’ve liked the article and found the ideal theme for your business. If we miss out your favorite ad optimized WordPress theme. Then, share it in a comment section.